Osaka City is a bustling metropolitan area popular among international tourists. Osaka itself is home to many unique attractions, including vast parks and gardens, historic Osaka Castle, the Tenmangu Shrine, Osaka Aquarium, and the National Bunraku Theater. Visitors to Osaka also enjoy the Dotonbori district, where travelers can experience the local nightlife with restaurants and shopping centers open twenty-four hours a day; the covered Tenjinbashisuji Shopping Street; and the Kitashinchi entertainment district. Its location in the central Kansai region also makes Osaka a stopping point when visiting other attractions. From Osaka, one can reach Universal Studios Japan as well as other popular destinations, such as Tokyo, Kobe, and Kyoto. Getting around Osaka may seem daunting, with its maze of Shinkansen, train, and subway lines. This travel guide is designed to ease your anxiety and make navigating this unfamiliar city a breeze. If you are flying in or out the Kansai Airport, the Limited Express Haruka train connects Shin-Osaka and Tennoji Stations to the Kansai Airport. This train, included in your JR Pass, makes thirty round trips daily, departing approximately every half hour. The trip between the airport and Shin-Osaka lasts about one hour. If you plan to use your Japan Rail Pass along with the Shinkansen bullet train system when traveling to or from Osaka City, you will arrive at and depart from the Shin-Osaka Station. From this station, you will have access to Tokyo, Kyoto, Nagoya, and other destinations. While the shinkansen trains do not travel to Osaka Station or on the Osaka Loop Line, you can reach downtown Osaka station by a Rapid Express JR train from Shin-Osaka. This is included in your Japan Rail Pass. Note:You can exchange your Japan Rail Pass at the Kansai Airport, Shin-Osaka Station and downtown Osaka station. Please check out the exchange offices list and opening times. 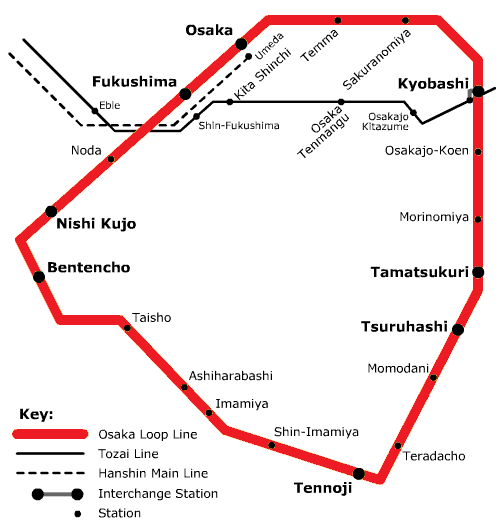 Also called the Osaka Kanjo Line, this rail line “loops,” or circles, through downtown Osaka. The Osaka Loop actually consists of an inner and an outer line, one running clockwise and the other, counterclockwise. The line originates at Osaka Station, which was newly renovated in 2012 to add to the comfort of the passengers. The Osaka Station is in the same general location as the Umeda Station for other metro lines, but only Osaka Station services the JR lines. When riding the Osaka Loop Line, you will notice connections to other lines not operated by the JR Group. Exactly, for the 19 stations of the loop line, 12 connect with other lines. For example, the JR Tozai Line intersects the Keihan Railway at Kyobashi, but transportation to Kyoto on this Keihan line is not covered by your JR Pass. The Keihan, as well as several other small lines, are operated by private companies. Note: Find out how to get from Osaka to Tokyo and Kyoto in our specific article. Osaka Station is the biggest train station in Osaka City. From Osaka Station, you can easily access Shin-Osaka station, the nearby cities of Kyoto, Kobe, Akashi, Himeji, Sakai, Nara and Takarazuka, and of course the local Namba and Tennoji districts. Osaka Station serves as the gateway to the entire Kansai region. Tennoji Station is located on the south side of the Osaka Loop. From Tennoji Station, you can access the Kansai Airport, Nara, and Wakayama. The JR Yamatoji Line from Nara terminates at the downtown Namba Station, located at the city’s center, near the Dotonbori area. Many attractions are available within walking distance of stations on the Osaka Loop. For instance, the Osaka Aquarium can be reached from Bentencho Station. Osaka’s baseball stadium, the Osaka Dome, is a 7-minute walk from Taisho Station. From the Shin-Imamiya Station, you can reach the historic district of Shinsekai, complete with the Tsutenkaku Tower, built in 1912, and specialty deep fried food called kushikatsu. Also, Shitennoji Temple is only a 10-minute walk from Tennoji Station. 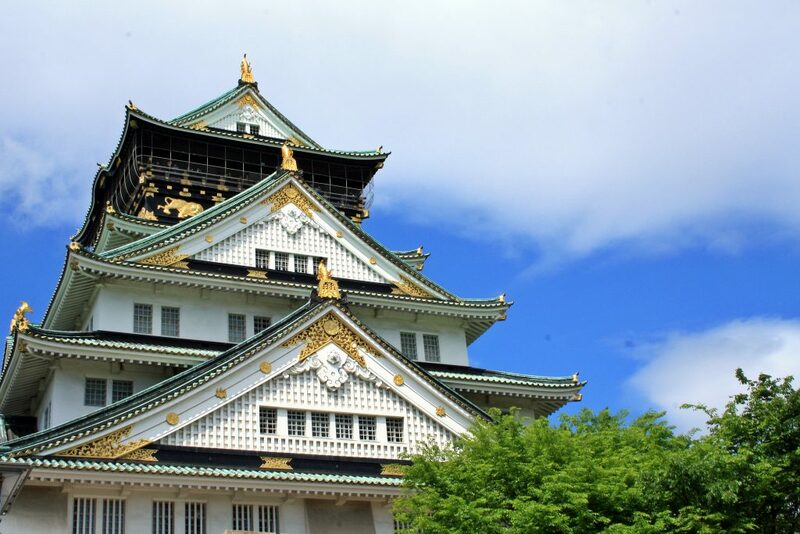 Finally, the Osaka Castle and gardens are just 5 minutes away by foot from the JR Morinomiya Station, and the JR Namba station is your best stop if you can to visit the famous Dotonbori area. There are three subway stations located within five minutes of Osaka Station: Umeda, Nishi-Umeda, and Higashi-Umeda. Using these municipal lines can be faster than taking the trains if traveling to the south side of the city – such as to Namba Station – as the route is more direct. There are two additional, private railway companies available from Umeda Station. The Hankyu and Hansin Railways also connect to Osaka, Kyoto, and Kobe. The area around Osaka Station has been called “Station City” due to the entertainment and shopping amenities that have developed around the station. Connected to the station is the seven-story LUCUA shopping mall and the Hanshin Department Store. Nearby, you’ll find the Grand Front Osaka, a luxurious curved-front building that features restaurants for fine dining, high fashion clothing lines, and famous tech companies. Yodobashi Camera is also located within walking distance. This electronics store is a favorite of photographers, technophiles, and those in search of interesting, technologically advanced home goods. If you’re waiting for your train or just spending an afternoon near the station, you’ll find plenty to do around Station City. Transportation in Japan is a bit confusing to me so I ‘m hoping you can help. How do I go from Shibuya to Osaka, specifically to the Dotonbori Hotel with a JR Pass? Appreciate your feedback! Hi Trang! Tokyo and Osaka are connected by the Tokaido Shinkansen line. In Tokyo you will need to travel between Shibuya and Tokyo Station (you may use the Yamanote Line). Once there you can take the mentioned line until Shin-Osaka Station. Both trips are included in the Japan Rail Pass. Happy travels! We booked Hotel Monterey Grasmere Osaka right by JR-Namba station but I’m a bit confused on how to navigate here with the JR pass. Is it possible to get here with JR pass purely? What would be the closest station accessible with the JR Pass to stay near Namba-Dotonbori Area? Hi He! The Osaka Loop Line is available one stop from JR Namba Station. This line is invaluable to travelers, as it reaches many of Osaka’s points of interest, including Osaka Station. Happy travels! Hello, can I use my JR pass to travel from Itami airport in Osaka to Spa World? Hi L! We recommend you to check Hyperdia, a platform that offers detailed itineraries, times, platform information, trip duration and exact distance, which will help you greatly in organizing your trips in Japan. Happy travels! Hi Ness! 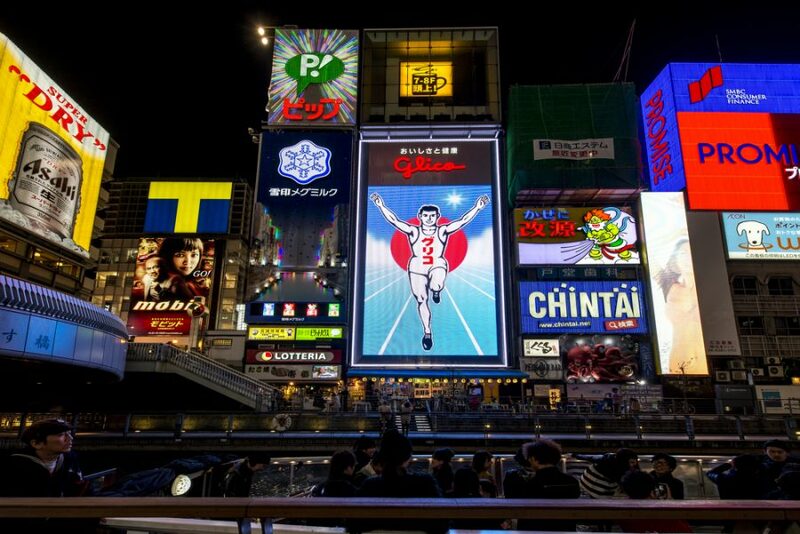 To get to Dotonbori using your Japan Rail Pass, travel to the JR Namba Station. Dotonbori is about a five-minute walk from the station. Enjoy your trip! Is Namba station covered by the JR pass? Hi Jay! Shinkansen lines cannot be accessed directly from JR Namba Station. To board the Shinkansen bullet trains, you will first need to travel to Shin-Osaka Station. – This is the terminal station for the JR Kansai Main Line, also called the Yamatoji Line. It provides access to Nara Prefecture on both local and rapid trains, passing by local station such as Imamiya, Shin-Imamiya and Tennoji Station. – The Osaka Loop Line is also available one stop from JR Namba Station. This line is invaluable to travelers, as it reaches many of Osaka’s points of interest, including Osaka Station. – Both the Yamatoji Line and the Osaka Loop Line will connect you to the Haruka Express to Kansai International Airport via Tennoji Station (8 minutes away). Can i take the Jr train from Airport to reach Osak on 4th March 2019 itstelf . Will the 4th March 2019 day , will be counted as DAY 1 . Please advise me , as i wan to use my JR Pass Efficiently . Hi Ashwathram! Yes, should you use your Japan Rail Pass on March 4th this will be counted as the first day of use. The Japan Rail Pass validity period is calculated in days, not in hours. Therefore, if you have purchased a 7-day pass and your activation date (when you first use the pass) is the March 4th, the exact expiration time will be midnight on March 10. Happy travels! We will be traveling to tokyo-osaka in january for 8 days. Do i need to buy jr pass in advance or are we able to buy on site when we arrive at the airport? Hi Maria! The Japan Rail Pass is sold at a higher price in Japan at major stations and airports. However our advice would be to purchase it online from official vendors such as jrailpass.com. Happy travels! How do i get to Hanazonocho Station from Kansai International Airport ? Is it fully covered by JR west Pass ? You can get to Shin-Imamiya Station with the Osaka Loop Line, which is fully covered by the JR Pass. From there, it is a 12 minute walk to Hanazonocho Station, or 5 minutes traveling in the Nankau-Koya Line (not covered). Me and my family which consist of 2 adults and 2 children will be going to Osaka this coming December for good 10days… and few of the places we intended to go is Kyoto.. Shirakawago.. am wondering if the JR pass can be used to to travel from osaka to Shikagawago? Thank you in advance for your help..
Hi Rezq! There are no train services to Shirakawa-go, but the Nohi Bus is available from Takayama. You can use your Japan Rail Pass to reach Takayama, however the bus line is not covered. We are 5 adults and 1 kid want to travelling to tokyo and osaka on may 2019. 1. We will arrived in Kansai Airport around 3.10pm and want to straight continue travel to tokyo first. Please advice me the best way to go to tokyo and we are planning to use JR PASS because we want to go to KAWAGUCHIKO as well to see the Mt. Fuji on our way back to OSAKA. 2. JR Pass can be use in all cities in japan right? because we will be in TOKYO for 3 days and in OSAKA for 6 days. I am travelling to Tokyo and Osaka. From Osaka I will be making day trips to Kyoto and Kobe from Osaka. I fly into Narita and will be staying in Gatonda area. From Osaka, I want to go directly to Haneda where I take my departure flight, late evening. I will be travelling with my family including my 3 year old daughter. Will the JRail Pall allow us to travel in the mentioned cities, and also take the Shinkansen between Tokyo, Osaka and Haneda? Can I use the JR Pass to take on Hello Kitty Shinkansen Route? Do I have to pay additional cost for it? How do I make reservation for the Hello Kitty Shinkansen route? I’m travelling from Osaka to Kyoto for 3 days and back to Osaka for another 5 to 6 days. Is it advisable to get the JR Pass? Where to take the rail from Osaka to Kyoto? With the JR Pass (ordinary) Pass, do i still need to make seat reservation if I plan to travel to Tokyo for 1 day? Any additional costs? Hi Priscilia! Yes – the Hello Kitty Shinkansen included in your JR Pass at no additional cost! Reservations for this train should be made as for any regular train: just take your Japan Rail Pass to any JR Ticket Office (Midori-no-madoguchi). My husband and I are sadly only one day in Osaka and one day in Kyoto. How would you advise we travel for the sights? Should I get the Osaka amazing pass at 2300 yen? I have been told on the site I am planning to do too much for one day as I did not account for line ups. Hi, I will be travelling to Osaka for 6 days, planning for a 1-day trip to Tokyo (leaving in the morning from Osaka, and by evening back to Osaka). What is your advise? Should I purchase the JR pass? Which JR pass should I pick? Can this JR pass be use for subway train around Osaka and Tokyo? The convenience of travelling with a Japan Rail Pass will always depend on your itinerary, however take into account that to travel with your 7-day Japan Rail Pass, means to have the unique opportunity to discover the whole country at a cheaper price than a Tokyo to Kyoto return ticket, on a Shinkansen bullet train. The JR Pass affords access to five different Tokyo railway lines: the Yamanote Line, the Keihin-Tohoku Line, the Rapid Chuo Line, the local Chuo-Sobu line and other metropolitan lines that circulate on the outskirts of the city such as the JR Keiyo, Musashi, Nambu and Yokohama lines. As you have already discovered in this article, the Japan Rail Pass also grants unlimited access to the Osaka Loop Line, which circles through downtown Osaka. Hi! We r a grp of 3 ladies 1st time visiting kyoto osaka, nara n tokyo F&E for 10days! Places we wanna go are the arashiyama bamboo grove, fushimi inari shrine, nijo or osaka castle, nishki market, nara to visit w wild deers. We will b staying in osaka for e 1st 6nights before gg to tokyo for another 4 days. Anyone can help to help to plan/design an itinerary for us? We might haf prob in inserting e places we wanna go. We have purchased a 7day JR pass as well. We haf also purchased a USJ pass. Oh ya we also heard tt our travelling dates coincide japan’s golden week! Given all places you want to visit we recommend you to check our 10 days in Japan: Travel itinerary article. This itinerary allows you to see most of Japan’s famous landmarks and truly get a taste of the culture: you will travel from the modern wonders of Tokyo, past the natural beauty of the Japanese Alps, all the way to the traditional and ancient Kyoto. Do you think i need to buy “Osaka One day pass” and “Kyoto one day bus card” if i want to explore Osaka and Kyoto or is it enough just to use JR pass? The Japan Rail Pass grants access to some local lines but not to all of them. In Osaka you will be entitled to make full use of the Osaka Loop Line as specified in this article. In Kyoto you will be able to use at no additional cost two JR train lines (Nara and Sagano ones) and Takao Keihoku Bus Line. This bus runs between Kyoto station and Shuzan. You will be able to go to Ninnaji Temple and Ryoanji Temple. I am going to Osaka and Kyoto for 5 days. I need trave from Kansai international airport to kyoto and Osaka. What is the cheaper way to travel and where are the place is interesting for tourist. The Haruka is a limited express, airport rail link train service. The train offers rapid service between Kansai International Airport (KIX) and Kyoto and Osaka. This train is fully included in your Japan Rail Pass. we’ll be going to Japan (Osaka-Tokyo-Nara- then back to Osaka) this December and thinking of purchasing the JR Pass. Just a quick question, we will arrive at KIX around 8:00PM can we still immediately travel to Tokyo or just travel in the morning? From Kansai Airport you will be able to take the Haruka Express, included in the Japan Rail Pass. Departures begin at 6:30 AM and continue until 10:16 PM. You can either stop at Kyoto Station or Shin-Osaka Station, since from both you will be able to take the Tokaido Shinkansen line (Shinkansen Hikari train) straight to Toyko. i am staying near namba station at fraser nankai and will travelling to kyoto for a day trip. i purchased a 7 day jr pass and was wondering if i can use this . most routes i found for the shinkansen look like i have to go to shin-osaka station first from namba station. also i will be travelling from osaka to kawaguchiko. will the jr pass cover my travel from shin osaka to mishima ? i know the highway bus is not covered, but i was curious if i will be utilizing my pass with these travels. thank you! Travelling between Kyoto and Osaka using your Japan Rail Pass is easy: just take the Hikari train on the Tokaido Shinkansen line. You will get between Kyoto Station and Shin-Osaka Station in less than 30 minutes. Please don’t worry about reaching Shin-Osaka from Osaka: both stations are connected by a local train and the trip lasts only three to four minutes. Three of us will be travelling from Kyoto to Osaka using JR pass. The address of our accommodation (SJ Osaka Central) is 550-0004, Osaka, Nishi Ward, Nishi-ku Utsubohonmachi 2-4-6 (550-0004, 大阪市, 西区, 西区靱本町2-4-6). Should I take a taxi or use public transport? I intend to buy the 2 day Osaka Amazing pass. For specific details on how to get to a certain hotel it is adviceable to directly contact the hotel. Should you travel with a Japan Rail Pass you will have full, unlimited access to Osaka Loop Line as specified in this article and will also be able to travel between Osaka and Kyoto at no additional cost. Dose JR Pass cover the cost for the Bay Shuttle KOBE-KANSAI AIRPORT (the high speed ferry boat between Kobe and Kansai)? Thank you! The Japan Rail Pass does not cover the high speed ferry service between Kobe and Kansai but you can anyway make this trip easily and quick: just take the Haruka Express in Kansai Airport and travel to Shin-Osaka Station, a journey of about one hour. At Shin-Osaka, you may take the Sanyo Shinkansen to Shin-Kobe Station. This trip lasts approximately 15 minutes. HI, If i stay at osaka hotel. i want go to nagoya station. what line train i take from osaka to nagoya train station ? how many minit to nagoya ? what time the osaka train start at morning ? 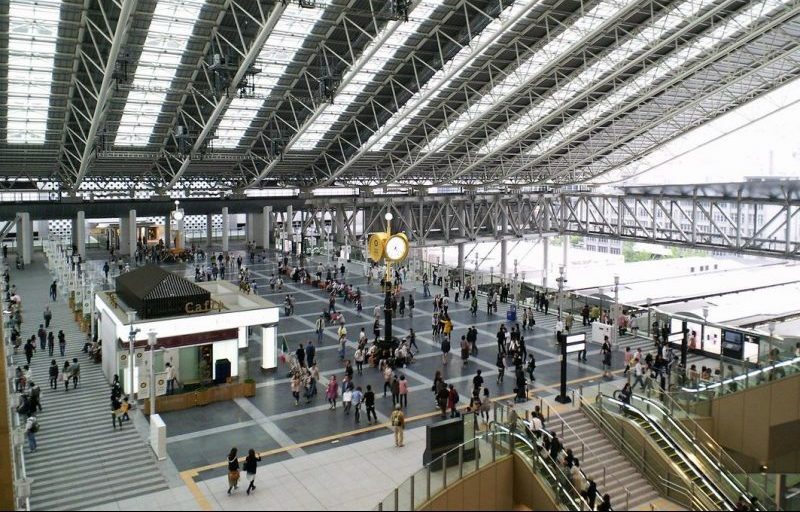 To reach Nagoya from Osaka, begin your journey at Shin-Osaka Station. Take the JR Tokaido Shinkansen Kodama or Hikari trains to Nagoya Station. The trip will last between 55 and 70 minutes. To check the train timetable you may want to check Hyperdia, the number 1 Japanese online transportation planning tool. I will be taking JR from Tokyo to Osaka, I will arrive at Shin-Osaka. So from Shin-Osaka, I can only take Rapid Express JR train to Osaka Loop line/ Osaka Station. My hotel is at (Sheraton Miyako Hotel Osaka, 6-1-55, Uehommachi, Tennoji-ku, Osaka 543-0001, Japan), how would you suggest me to travel there? I’ll be travelling with 5 adults and 2 children. According to the map Osaka-Uehommanchi Station is just beside my hotel. But I do not see that station in the Osaka Loop Line. So I am quite confused. Should I travel to Osaka Station first or take cab from Shin-Osaka to hotel directly will be the most convenient? Also, after Osaka, I am planning to drop by at Kobe for lunch and then head to Kyoto for a night using my JR PASS. Should I take train from Shin-Osaka or Osaka? As you mention, the Shinkansen Hikari that will take you from Tokyo to Osaka arrives at Shin-Osaka station after 2:30min. To get to central Osaka station, change to any of the local JR Tokaido-Sanyo trains. 1. Take the Osaka Loop Line to Tsuruhashi Station (included in the Japan Rail Pass). Once there, transfer to Kintetsu Line and get off at Osaka-Uehommachi Station. 2. Take the Osaka Loop Line to Nishi-Kujo Station (included in the Japan Rail Pass). Once there, transfer to Hanshin Namba Line and get off at Osaka-Uehommachi Station. When traveling from Osaka to Kobe using the JR Pass, you may take the Sanyo Shinkansen from Shin-Osaka Station to Shin-Kobe Station. This trip lasts approximately 15 minutes. For the 7-day rail pass is it only from the begin date and for 7 consecutive days or can it be utilized throughout 7 different selected days? Yes, the validity period of the Japan Rail Pass is either 7, 14 or 21 consecutive days. The exact expiration time is either the 7th, 14th or the 21st night at midnight. Therefore, you won’t have the option of splitting the validity period of your passes. Please note that once activated, the date on the passes cannot be changed. Do you think the jr pass is sufficient to explore Osaka or do you think the kansai thru pass or Osaka amazing pass will be needed? We are travelling as family of 5 with 2 other families. Planning to visit Kyoto. And Nara as well. The Japan Rail Pass is a nation-wide pass. It will cover your airport transfers (Haruka Express should you be landing at Kansai International Airport, which will take you to Osaka in about 1 hour) and the Osaka Loop Line for moving within the city. It will also fully cover your trips to Kyoto (you will just need to take Hikari train on the Tokaido Shinkansen line. You will get between Kyoto Station and Shin-Osaka Station in less than 30 minutes) and Nara (just take the Yamatoji Rapid Train to JR Nara Station. These trains run once per hour; the trip lasts around 45 minutes and is covered by the JR Pass).